c1960 image thanks to the late Geoff Hastings. Edward Bulman is given at the NORFOLK HERO in 1854 and 1856. Address of 114 Norwich Road in 1891. 132 Norwich Road 1912, 1916, 1922, 1925 & 1933 - Norfolk. Transferred into Cambridgeshire by the 1935 County of Norfolk Review. 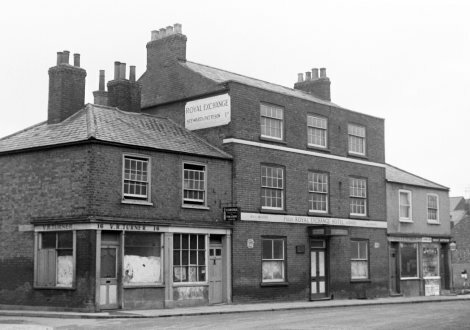 Before Swaffham Magistrates on Thursday 21st March 1867 it was heard that labourer Henry Leggett (20) had stolen a copper kettle and 3lbs of lead on the 11th February, a handkerchief and a brush on the 14th February and 27lbs of lead pipe on the 1st March, all the property of publican Edward Bulman, with whom the accused had lodged. Found guilty and with previous convictions taken into consideration, Leggett was sentenced to twelve months imprisonment.